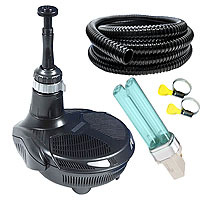 Hozelock EasyClear 9000 (INCLUDES Hose, Clips & Bulb): All in One Pond Pumps: Pond Pumps - Buy pond equipment from Pondkeeper: fishing out the best deals on the net. 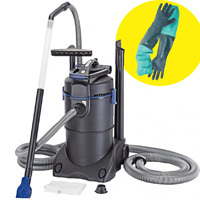 This bestselling all-in-one pump comes with FREE gifts worth £31.47. 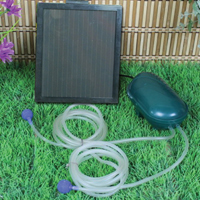 NEW larger Easyclear comes complete with a quick-fit hose adapter (25mm) so you can now run a waterfall (via hose) as well as a fountain from the same unit. 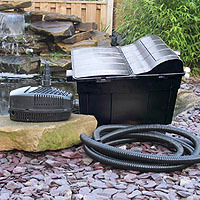 It is perfect for patio ponds or situations where installing messy hose and cables can be a problem and is suitable for lightly stocked goldfish ponds up to 5,000 litres. NOT SUITABLE FOR KOI PONDS. In the Hozelock EasyClear range the 3000 & 4500 do not include a T-piece attachment whereas the 6000, 7500 & 9000 do. Excellent buy, extra bulb and hose with clips. Am now returning to purchase the same again. 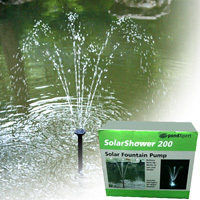 Excellent purchase but as it is early days I have yet to see the green pond water clear. Very good but quite expensive. good idea that the pump came with extras. it came with 1 x extra bulb & 1 x with the pump so we have a spare one great. extra hose clips they were a good addition as needed new hose so yes brilliant .